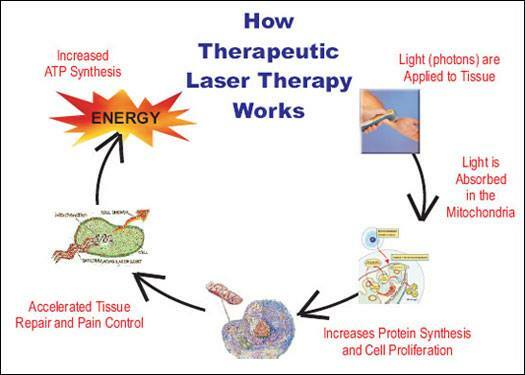 Low level light therapy (cold LASER) uses light to cause biostimulation. Light penetrates 2 inches below skin and is not absorbed by skin or fat. Light stimulates the powerhouse (mitochondrion) of each cell to allow for ATP formation. This enables the cell to reenergize and function therefore restarting the healing process.